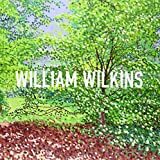 The work of William Wilkins is unique, both in the level of skill it displays and the length of time it occupies. In his foreword Chair of Welsh National Opera Geraint Talfan Davies said, 'Born of months, even years, of painstaking creation each picture exudes both artistry and joy; a celebration of perception which merits exposure to a wide audience'. Focusing upon his remarkable pointillist technique this book represents the long and celebrated career of the artist together with the maturation of his style. The book also includes an introduction by Geraint Talfan Davies and a biographical essay by David Moore. William Wilkins trained at Swansea College of Art and the Royal College of Art, London. Throughout the 1970s and 1980s he had a series of sensationally successful exhibitions in leading New York and London galleries. Awarded the CBE in 2003 for services to the environment, William has been a vital figure in the development of Welsh gardens, founding the Welsh Historic Gardens Trust. David Fraser Jenkins is an art historian and former senior curator at the Tate Gallery. His previous titles include Gwen John and Augustus John and John Piper: The Forties.